Yesterday I preached about joy. And more specifically, how joy is different than happiness. I talked about how happiness is almost entirely dependent on our conditions and circumstances. If things are going well in our lives—relationships are good, work is fulfilling, bank accounts are full—then we are happy. But if not, sadness ensues. But the beautiful thing about joy is that it is independent of our conditions and circumstances. Even if happiness evades us, we can still find joy. Joy comes from a hopeful, peaceful contentment in God, and thus, can be found even in the midst of sorrow, grief, pain, and unhappiness. For those who weren’t there, yesterday was also our Children’s Christmas Program, which meant my sermon was drastically shorter than usual. Had it been full length, I would have showed a funny, insightful video from this week’s episode of Saturday Night Live. The sketch never actually mentions happiness or joy, but it perfectly illuminates my point—that even when everything goes wrong around us, we can still find joy. Please watch and enjoy! So, this Christmas season, may you find joy even in the midst of unhappiness. May this Christmas be the best…even when it’s the worst. 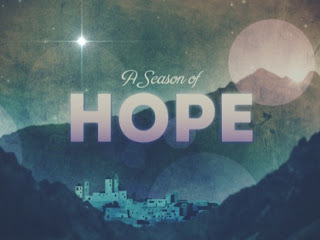 I preached about HOPE yesterday—and more specifically, the ways in which hope shows up in the Christmas story and its characters. Each of the Nativity characters has a strong deal of desperate, anticipatory, hopeful longing in them. But the tidbit I left out of my sermon is that there is a great deal of hope to be found in a passage of the Christmas story that we normally gloss over—the genealogy of Jesus in the gospel of Matthew. Before ever getting to the immaculate conception and virgin birth portions of the Christmas narrative, Matthew begins with seventeen verses about the lineage of Jesus. Like I said before, we normally skip right past these ‘boring’ verses, but a closer look reveals these verses to be loaded with hopeful insights. First, since I’m not including the text here (for space reasons), I’ll remind you that the genealogy is broken into three sections: Abraham to David, David to Exile, and Exile to Jesus. But the most fascinating part of that is that each of those clear delineations contain exactly fourteen generations. I mean, come on! How perfect is that?! It’s almost as if God had a plan from the very beginning and is actually in control of all of creation! That’s something to be hopeful about. The second hopeful insight worth mentioning from the genealogy of Jesus is that the whole story could easily have gone off the tracks at a dozen different junctions, but didn’t. For example, Ruth and Boaz play a vital role in the Messianic lineage, as they are the great-grandparents of King David—and it would have been so easy for that story to have never happened and for the genealogical chain to be broken. Or Mary and Joseph could have gone their separate ways, leaving Joseph out of Jesus’ life. Which would mean Jesus would not have been in the line of David, because that line went through Joseph and not Mary. Point being, God’s hand of guidance and protection is clearly visible throughout the course of biblical history—and really, all of human history—and that is certainly something to be hopeful about. And finally, I find vast amounts of hope in looking at the interesting, sketchy, and unexpected people that get used in bringing forth the Messiah. Abraham’s never even heard about God when God chooses to make him the father of His great nation. Jacob’s a mess of a person. Rahab’s a prostitute. David’s whole family is a joke. I could go on and on with this rap sheet of reasons why God never should have used any of these ‘heroes’ of the faith. But He does use them. And if God can use these people to usher in the Messiah, then there’s hope for us all. These seventeen verses may be dry and dull to read, but I love them because they are the imperfect story of God’s perfect sovereignty. And that’s something to be hopeful about.